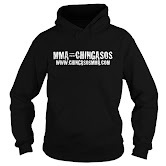 UFC 153 Results - Full | MMA Fighting Events Videos Techniques UFC Fight Picks and News. Results: Anderson Silva wins via TKO at 4:40 in the first round. Results: Antonio Nogueira wins via submission technique (armbar) at 4:31 in the second round. Results: Glover wins via TKO (doctor stoppage) at the end of the second round. Results: Jon Fitch wins via judges decision (unanimous)(30-27, 29-28, 29-28). Results: Phil Davis wins via submission technique (anaconda choke) at 4:29 of the second round. Results: Demian Maia wins via submission technique (rear naked choke/neck crank) at 2:30 in the first round. Results: Rony Bezerra wins via TKO (punches) at 4:16 in the second round. Results: Gleison Tibau wins via judges decision (unanimous)(29-28, 29-28, 29-28). Results: Diego Brandao wins via judges decision decision (unanimous) (30-27, 30-27, 30-27). Results: Sergio Moraes wins via submission technique (rear naked choke) at 3:10 in the third round. Results: Chris Camozzi wins via judges decision (unanimous) (29-28, 29-28, 29-28). If you want to turn a fight fan on to MMA (Mixed Martial Arts) and the UFC, fight videos and highlight videos of UFC 153 is the way to do it! 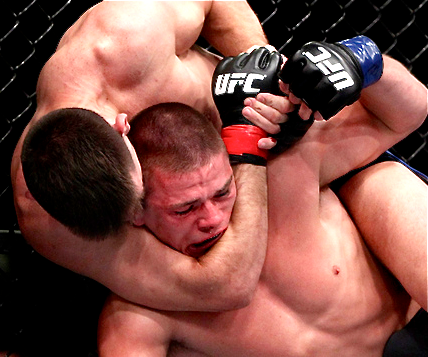 What were your thoughts on UFC 153? How high does it rank in UFC history as far as exciting events?